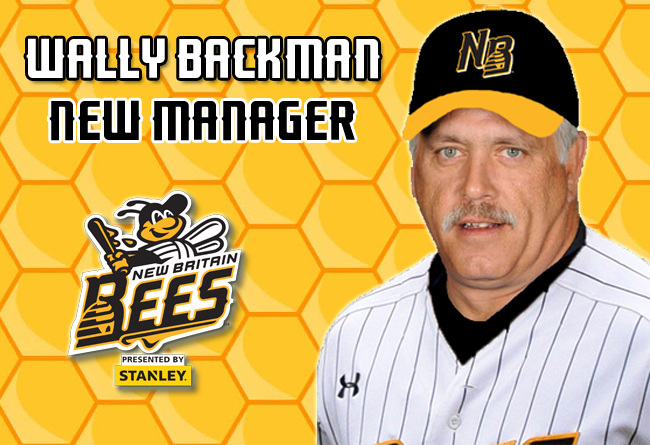 (New Britain, Conn., Nov. 16, 2017) – The New Britain Bees today announced that they have named Wally Backman as the second manager in team history. Backman replaces Stan Cliburn and joins the Bees for his first season in the Atlantic League and 20th as a manager in professional baseball. Backman has spent 19 years as a field manager in the professional ranks, most notably with the Chicago White Sox, Arizona Diamondbacks, and New York Mets organizations. He has led three different teams to league championships, with his first coming in 1999 with the Tri-City Posse of the Independent Western Baseball League. Wally’s second managerial championship came with the Birmingham Barons (AA, White Sox) of the Southern League in 2002, and his third was earned in 2007 with the South Georgia Peanuts of the Independent South Coast League. He also managed the 2010 Brooklyn Cyclones (A, Mets) and the 2014 Las Vegas 51’s (AAA, Mets) to regular season first place finishes. The 58-year-old owns 1,066 career victories as a professional manager. Prior to his coaching career, Backman played 17 seasons of professional baseball, including 14 in the Major Leagues. He was a first round (16th overall) pick in the 1977 amateur draft by the New York Mets, making his big league debut in 1980. Wally spent nine seasons with the Mets, most notably as the starting second baseman for the 1986 World Series championship club. He joined the Minnesota Twins in 1989, and also spent time with the Pittsburgh Pirates (’90), Philadelphia Phillies (’91-’92), and Seattle Mariners (’93). Over the course of 1,102 Major League games played, Backman compiled a .275 batting average with 893 hits, 482 runs scored, 240 RBI, 117 stolen bases, and a .349 on-base percentage. In the coming weeks, the New Britain Bees will announce a mid-January press conference to formally introduce new manager Wally Backman to New Britain and Central Connecticut.